The single family benchmark home for Greater Victoria is $506,800 about a 4% increase from last year. 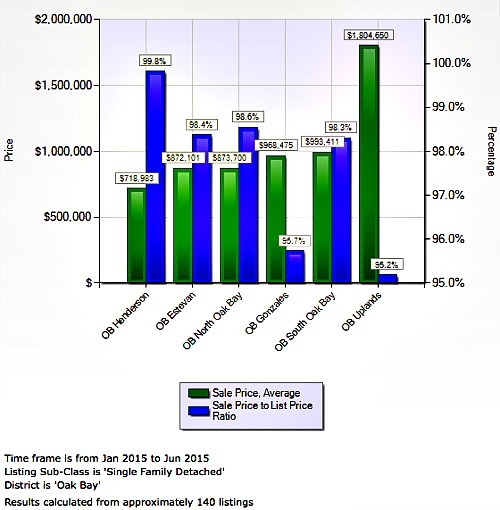 Here is a great graph outlining all the different price ranges for Single Family Homes in Victoria and Oak Bay areas. Hoping you might find this useful...Uplands is the leader in sale price with a sale/list ratio of about 95% and the same for Gonzales. South Oak Bay, North Oak Bay and Estevan areas are about 98% and Henderson currently is showing at 99.8%. Last month I had the pleasure to help a couple sell their home in the Henderson area. There was lots of preparation and organization to do but in the end eveyone involved was very happy. One day on the market with showings all afternoon... multiple offers that evening and sold well above list price with no subject conditions. 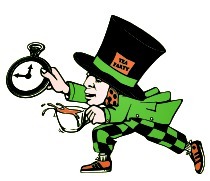 This weekend... it is the 53rd Oak Bay Tea Party! It has two reasons to exist ... it's fun for the community and helping service organizations raise funds. Starting with a parade at 10:30 am June 6th from Windsor Park (South Oak Bay) and it will curve through the streets ending up at Willows Park. Mark you calendars for next weekend in Oak Bay... June 13th from 11 - 3pm 'A Day In France' at Ottavio Italian Bakery. Come and join in and celebrate France with cheese tastings, product specials and live music. I hope you found this blog helpful. Any questions please call me direct at 250.744.4556 or toll free in North America at 1.800.550.0585. 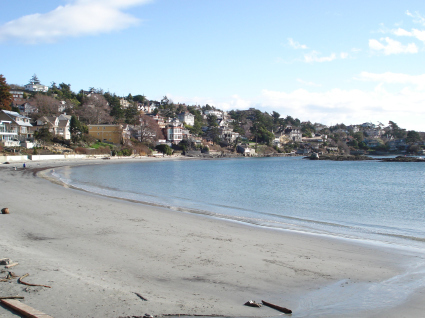 I grew up in Oak Bay and know it well. If you would like to read a little more about the Victoria Market I just updated that page on my webiste and please stay tuned for more updates!